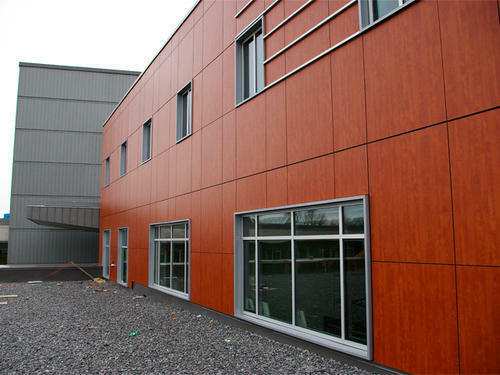 We are a leading organization of the industry, dedicatedly engaged in offering an optimum quality array of HPL Cladding Service for our esteemed customers. Our offered services are highly appreciated by clients for their low cost and accurate results. "Glass Zone" has been operating since 2010, and has been engaged in the service provider, trader and manufacturer of Glazings and Claddings and trader of rest products and service provider. We are recognized developer of a wide range of products and delivers spectacular service which also includes Glass Glazings and Glass works. Our offered range is widely used in the interior and exterior space at various places viz, hospitals, corporate offices, commercial space, shopping malls, houses.The range is also used in kitchen and bathroom spaces which perfectly saves energy. The products which we deliver are perfect architectural solutions for those clients who are looking for an amazing decorative solution. Materials which we use are delivered by vendors acknowledged for delivering quality certified products and they are chosen after an extensive research and survey. We are also acknowledged for producing glass products which are high on quality, consistent in performance and are made as per the industry standards. Apart from the wide variety of products, we are also specialized in offering superior service to the clients. The service which we deliver ranges from glass and railing fittings, installation of glazing, these not only ease our clients strain but also offer them satisfaction. In these years of our operations, we through our satisfactory products and service have been able to gain success and client appreciation and applaud and create a niche in the industry.